How to Send Free SMS to Your Friends From Yahoo Messenger? Yahoo messenger provides short message service for free. You can send sms and receive sms right from yahoo messenger. Infact you may be knowing about how to make free calls from yahoo messenger. But for sms you may not be knowing. It's very simple. The second thing is that you can chat to your friends using the sms service. When yahoo sends your sms to your beloved one and they reply you back it will appear as a chat in yahoo messenger and you can chat continuously. I tried sending the sms. It reached but however it was quite slow. May be because of Asia but for others it will work very perfectly for sure. However i tried this on Yahoo messenger 11 Beta. I am not sure about other versions of messengers so you have to find out whether you have the options or not. 1. 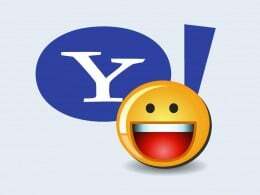 Open the yahoo messenger and if you don't have one download it's free. 2. Now go to Actions on the top of the menu. 3. Now select Send a SMS. 4. Now in the window that opens click on Other Contacts. 5. Now enter your friends no. and send . 6. If your friends replies back the message will be received in messenger window. This is how you can chat through sms and send a free sms to your friends from yahoo messenger. It's very simple and you try it now. Send a sms to your no. and you will agree it really reaches. Enjoy sending the sms to your friends for free. I hope it will be useful to you.